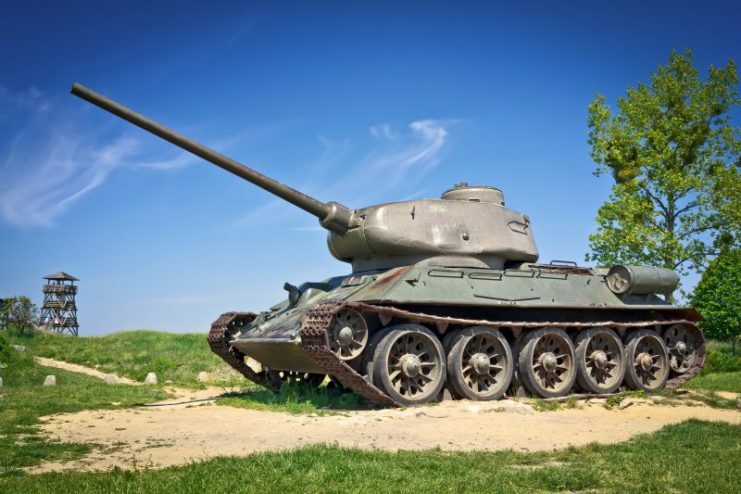 Hailed as a superior design by both friends and foes, the legendary Soviet T-34 medium tank raised the bar in armored warfare for generations to come. 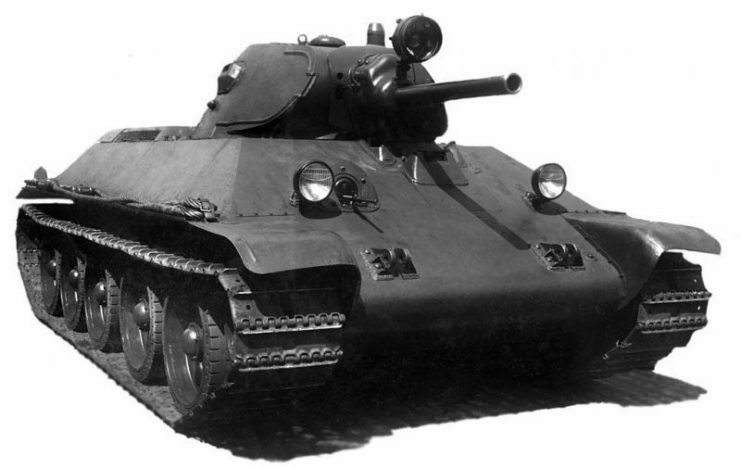 Entering service in late 1940, and having its first taste of blood in 1941, the T-34 and its high-velocity 76.2 mm gun performed fairly well. 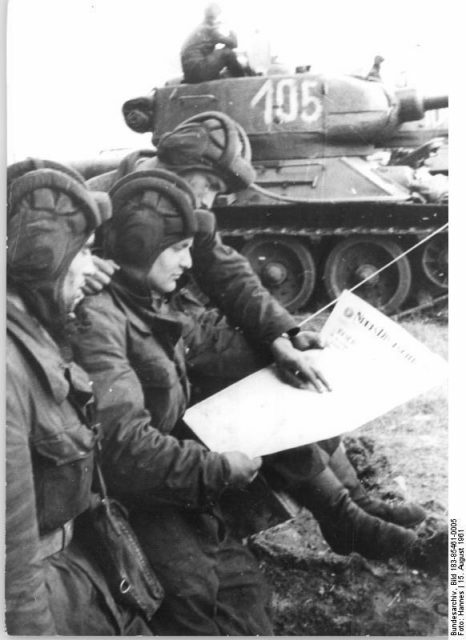 Even so, during the initial stages of Operation Barbarossa, the Soviets were holding by a thread while their front collapsed. 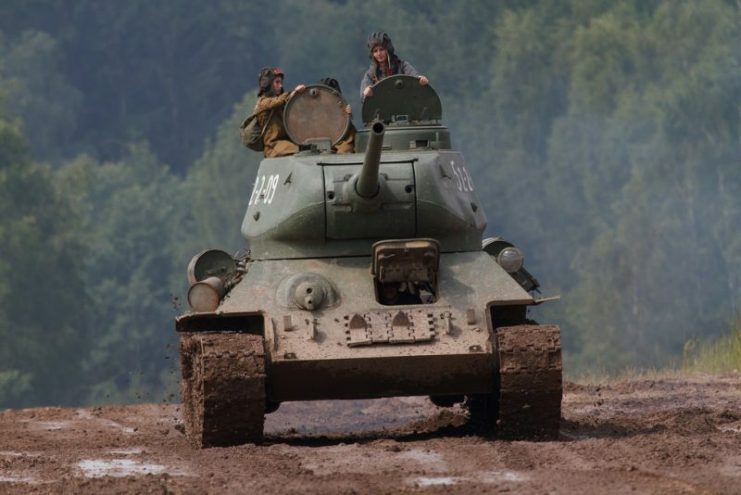 In the summer of 1941, as the Germans launched their invasion of the USSR, the majority of T-34 tanks along with KV-1 and KV-2 heavy tanks were all concentrated into 5 out of 29 armored divisions. 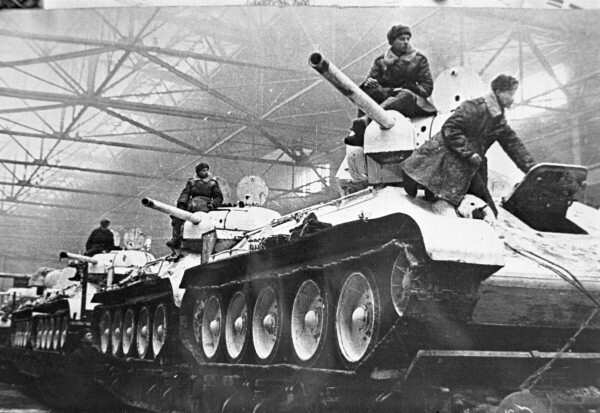 Although these tanks caused havoc and had a severe psychological effect on the enemy, lack of coordination and isolation of the well-armed units prevented the T-34s from showing off their full potential. However, in areas where the Germans encountered this particular tank, they could not overpower its heavy, sloped armor, which proved immune to the standard 37 mm PaK 36 anti-tank gun. 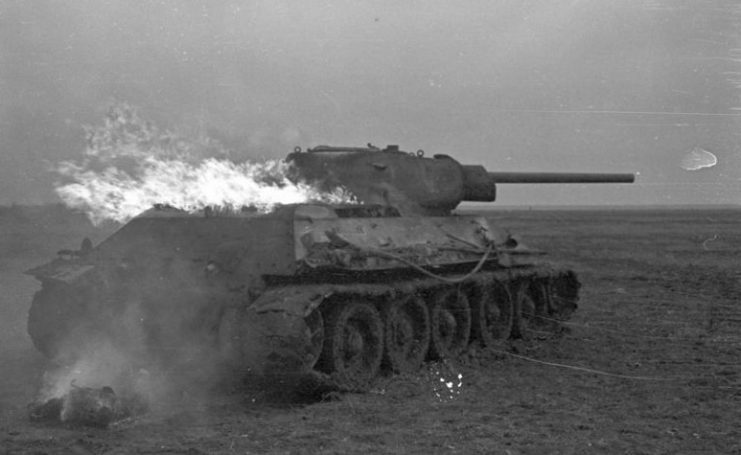 The T-34’s own firepower also scored fairly well against the Germans. 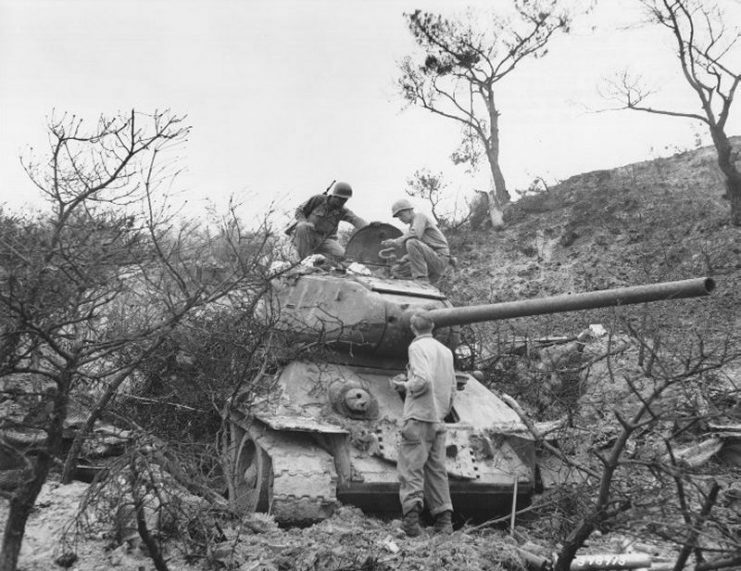 Although this earned the tank a fearsome reputation, by 1942 the Germans were supplied with larger caliber weapons such as 105 mm field guns and 88 mm anti-aircraft guns, which were also used against ground targets. 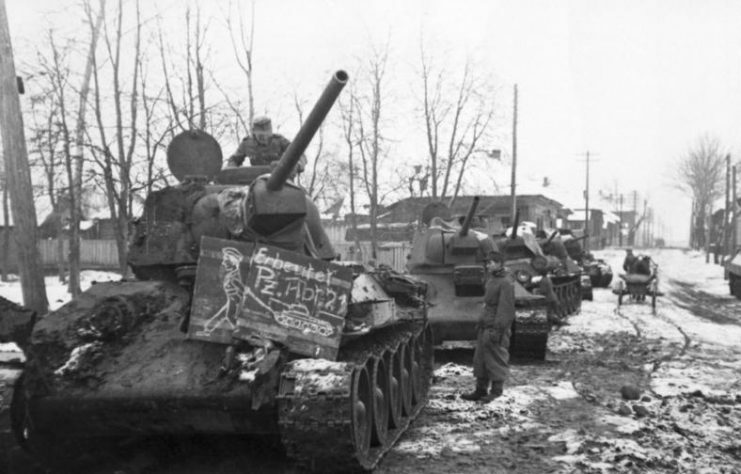 As the Eastern Front saw an incredible transformation in terms of combat technology in just several years, German tanks like Panzer IV and the Tiger were introduced as early as 1942, in an attempt to even the score. 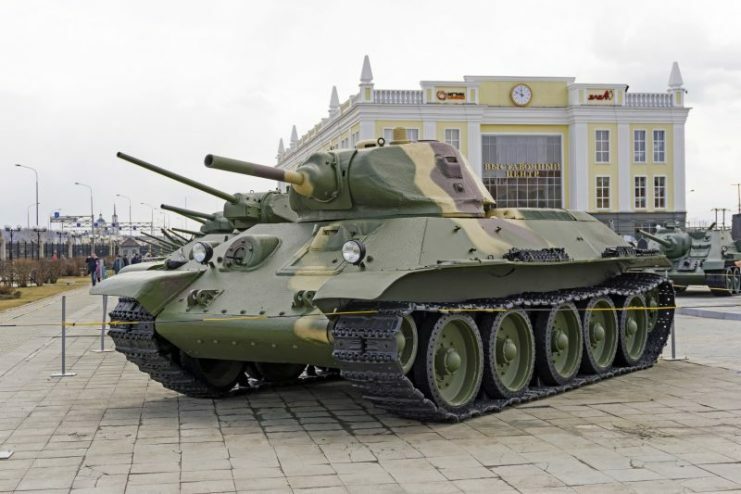 To counter the new German tanks, the Soviets refurbished the T-34 by replacing its 76 mm gun with the ferocious 85 mm one. 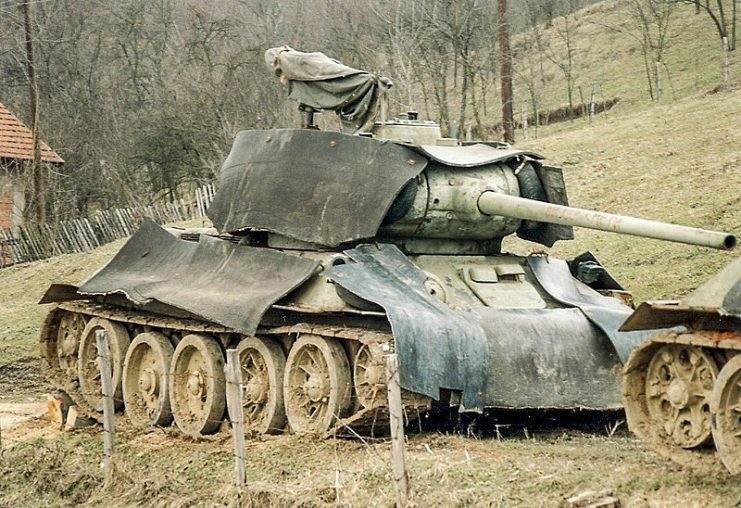 Improvements were also made in armor. 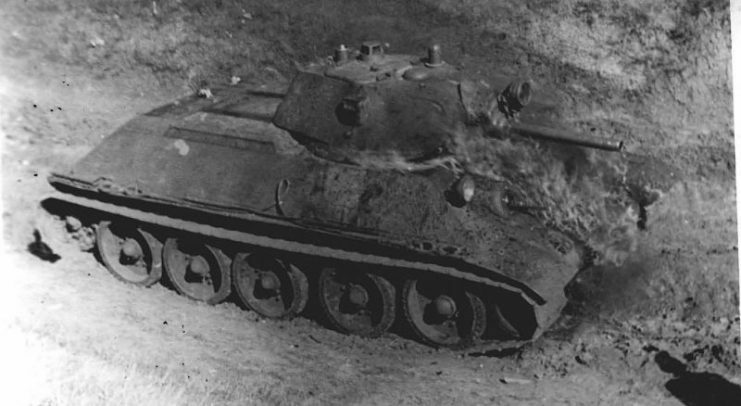 However, the tank was still vulnerable to Flak 88, which began to take the central place among all German guns. 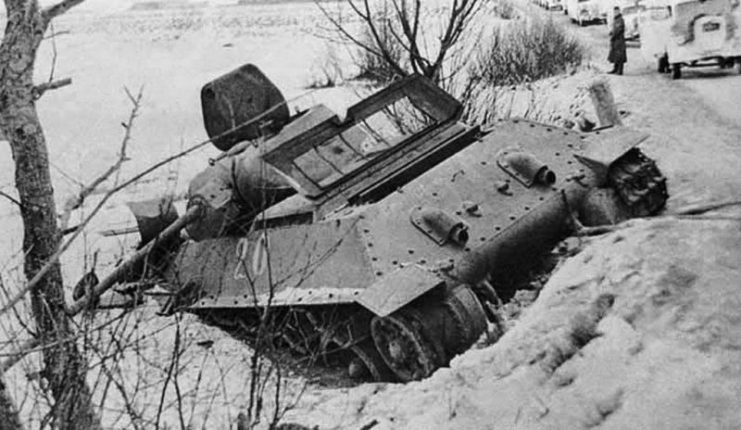 Despite this, the T-34, in all its variants, was the battering ram that broke the way to Berlin―albeit with a steep price. Out of 80,000 units produced during the war, more than half were destroyed in combat. 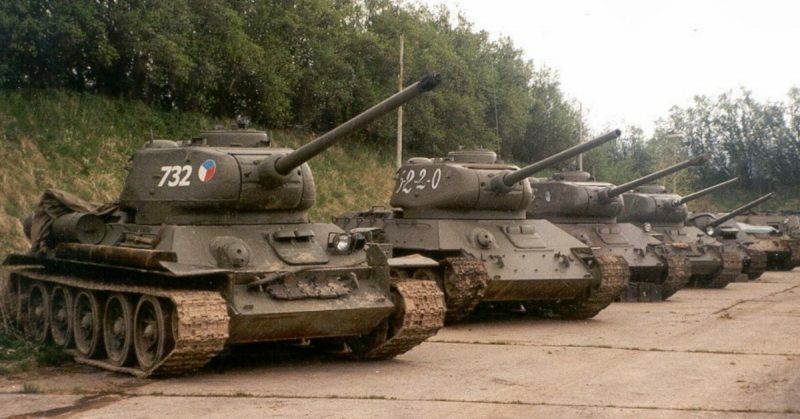 The T-34’s heavy production rate also made it one of the most mass-produced tanks of all time. 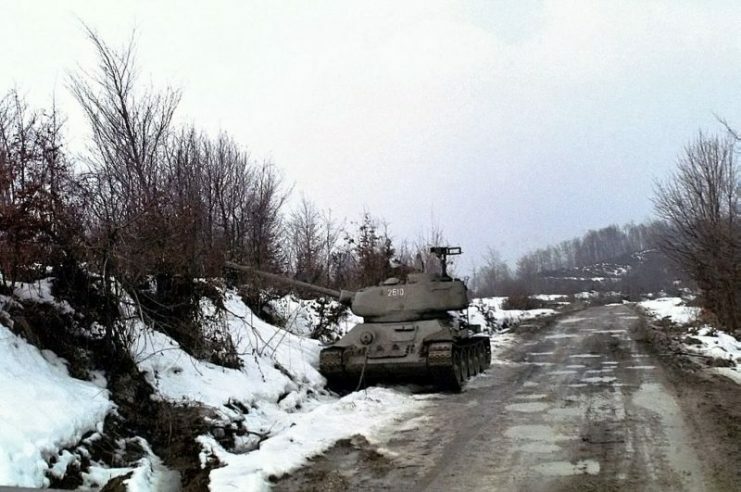 It is second only to its direct successor, the T-54/55. 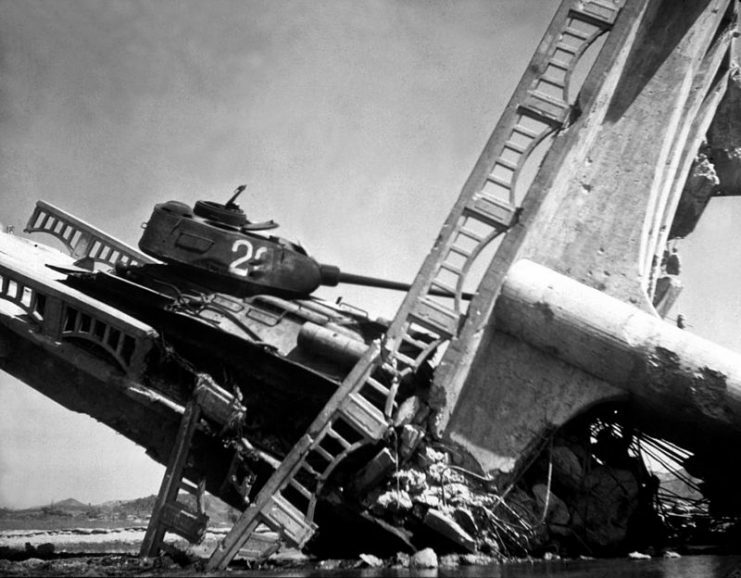 The wreckage of a bridge and North Korean T-34-85 tank south of Suwon, Korea. 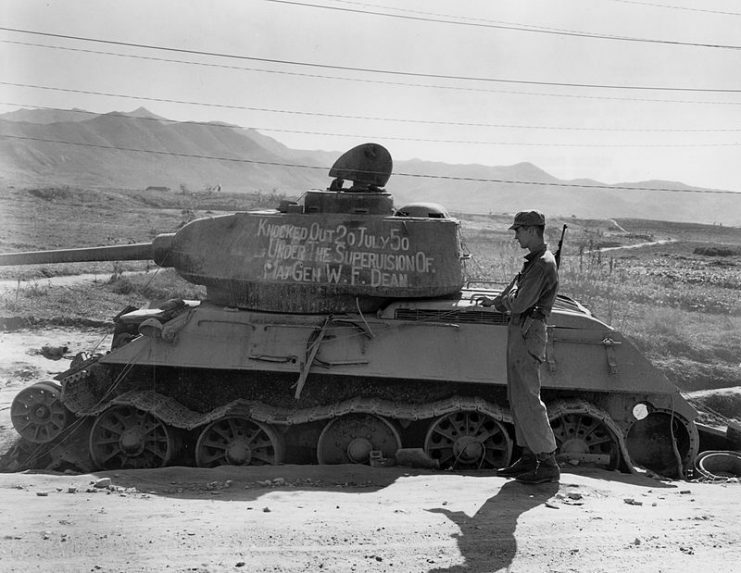 US soldiers examine a T-34-85 tank captured from the Communist led North Korean forces, Waegwan, Korea. 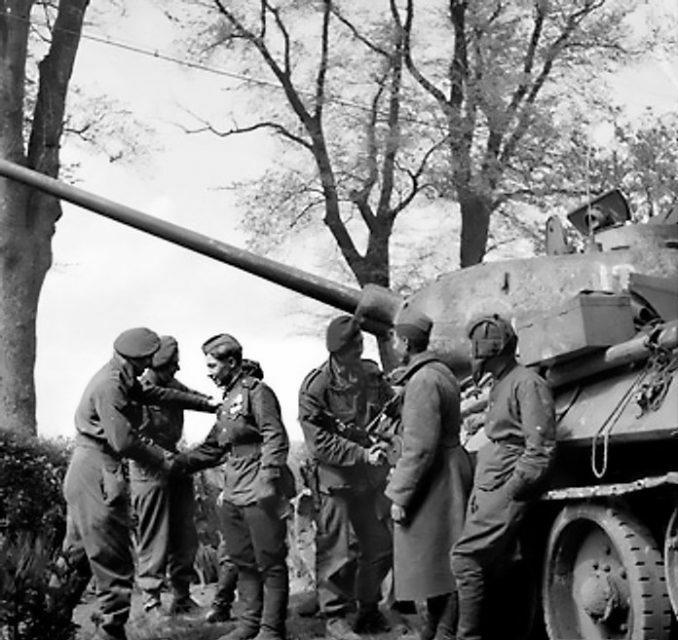 Men of the British 6th Airborne Division greet the crew of a Soviet T-34-85 tank during the link-up of British and Soviet forces near Wismar on the Baltic coast, 3 May 1945. 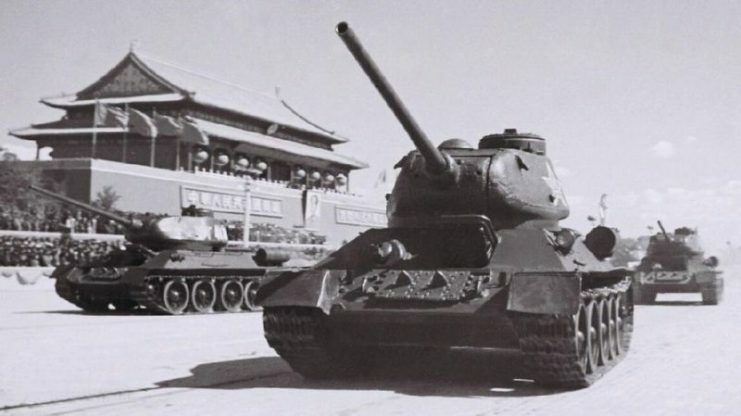 Some of the PRC’s T-34-85s in the country’s 1950 National Day parade.